Has a Chicago sketch comedy team created the next Cards Against Humanity? 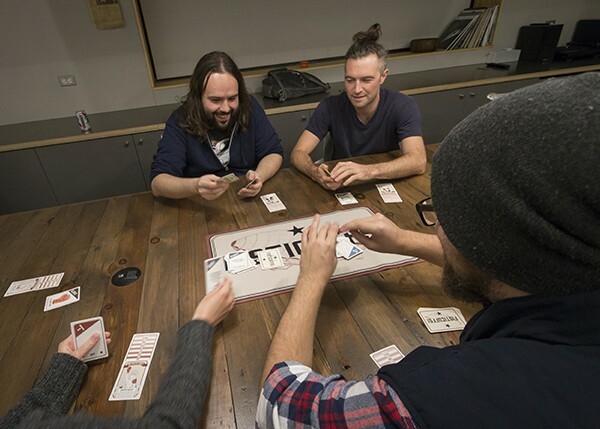 When they’re not onstage, the Nerdologues can often be found collaborating at the 10,000-square-foot shared working space in Bucktown that serves as headquarters of Cards Against Humanity. In November, the Chicago sketch team will release its own unconventional card game that members have spent the last year and a half crafting. Hardly a party game for “horrible people” in the mode of Cards Against Humanity, Fisticuffs! is more for the mildly competitive. Up to six players choose from eight fanciful old-timey boxers (including a kangaroo and a Rock’em Sock’em Robots robot), and then take turns punching and parrying each other by playing color-coded cards representing moves (jab, uppercut, haymaker) until one pugilist is left standing. The only edgy moments occur between people who make temporary alliances only to later break them in the style of Risk. Why would a seven-member sketch comedy group with no game-making experience try to compete with the Katnisses of the game-making world? 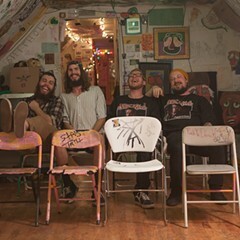 “Why not?” says Nerdologues founding member Kevin Reader, who adds that the group approached the project as a way to stretch its creative legs, not make bank. The outline for Fisticuffs! sprang from such a laid-back scenario. Booze in hand, the trio of Reader, Gennaro, and Chris Geiger brainstormed while relaxing in a hot tub in a rural Michigan cabin during a creative retreat in March 2014. 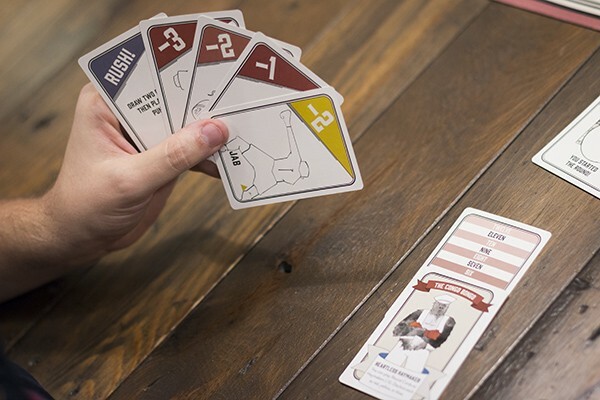 Reader initially came up with a card game called Bash that resembled a layperson’s Dungeons and Dragons, full of generic sword-and-staff-wielding medieval warriors. But that Tolkienesque theme seemed a little played out—and worse, the game wasn’t all that fun to play. Over the course of the next year they kept tinkering with the mechanics and minutiae of the game until they had found something that worked. It’s similar to the way the Nerdologues tackle comedy. And just as timing is key in comedy, the Nerdologues have picked an opportune moment to release a card game. The North American hobby-game market has grown to an estimated $880 million last year, up 20 percent from 2013 according to a study commissioned by the culture Website ICv2. 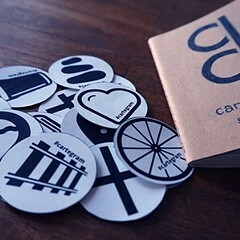 Part of the rise is due to crowdfunding sites like Kickstarter, which helped launch Cards Against Humanity in 2012. 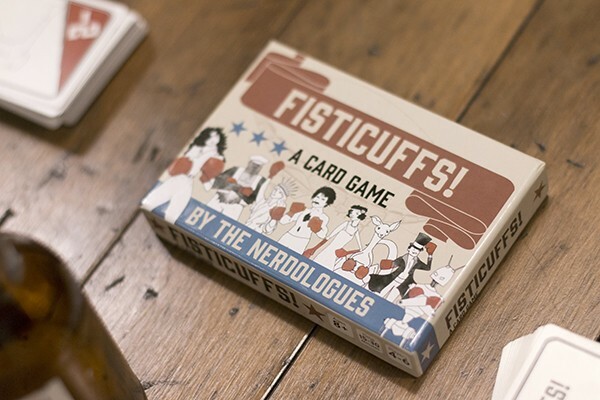 The Nerdologues’ successful Kickstarter campaign for Fisticuffs! ended in July, earning more than $13,000. Will Fisticuffs! become a cultural phenomena like Cards Against Humanity? Its creators aren’t so sure. For the moment, they’re content that players seem to enjoy the game. At Late Night Writers Room the mockery is for charity. 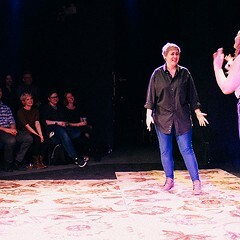 The city's most cutting-edge comedy isn't on the stages of venerated clubs such as Second City and iO. It's happening in attics, garages, and other makeshift performance spaces. Chief among them: the Shithole.